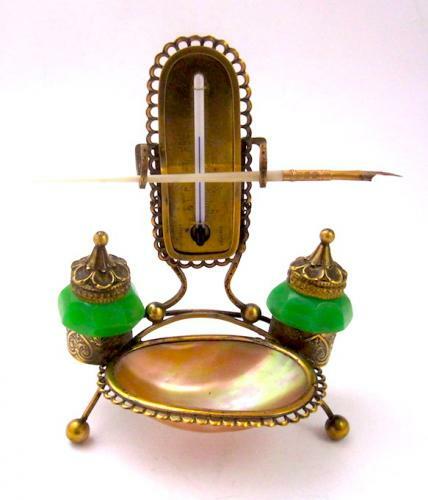 Antique Palais Royal French Green Opaline Glass and Mother of Pearl Inkwell with Thermometer. Dore Bronze Mounts , Mother of Pearl Dish and 2 Green Opaline Ink Pots with Dore Bronze Lids. Includes Mother of Pearl Pen. Ink pots 7 cms High / 2.8 Inches High.